I think most politically involved Christians would say that their politics are influenced by their faith. This is true for me, as well; however, I’ve realized recently that the opposite is also true: my growing political views have actually helped me to grow as a Christian. Even from childhood, I’ve often been a judgmental Christian. I have a history of being hard on myself and others. I remember being very upset with my parents one Sunday because we weren’t going to go back to church for the evening service; weren’t we supposed to be there every time the doors were open? I also nearly broke down in tears once because my sister was talking about buying a two-piece bathing suit. If you could change two things in our current interpretation of the Constitution, forever, what would they be? High school libertarians talk politics & culture. Listener discretion advised! I'm an opera singer turned surgical Nurse Practitioner in Cardiothoracic Surgery, originally from California. I've lived in the great state of Tennessee off and on for the past 17 years, and have become a Southern girl. I like guns, Scotch, cooking/baking, knitting, and coffee. Last year, I married my sweet love, a man I met here on Ricochet. The Libertarian in me is struggling to stay consistent in my desire for personal freedoms, especially where personal property is concerned. Mustangman and I put our house on the market a couple days ago — we’re moving to Dayton, OH in a few weeks. The Portland market can only be described one way: hot! Most houses listed below $400,000 are under contract within a week, and we have been hoping for a fast sale. This weekend, we packed up the kitties and took a trip up to Yakima to see Ryan M and his family while our realtor did open houses and a ton of showings. Everyone loved our house with one glaring exception. Here’s where we take a step back. On Twitter: @Drewhampshire. President, Josiah Bartlett Center for Public Policy, Concord, N.H. Former editorial page editor, NH Union Leader. Independent writer. Alternative music radio host & podcaster (Suburban Underground, on iTunes, Stitcher, GooglePlay, etc.). Free market guy. Tar Heel. Camera enthusiast. Would rather be in the mountains right now. A funny thing happened to America’s libertarian movement – it expected a champion to emerge in the 2016 election; it may or may not have one in Donald Trump. 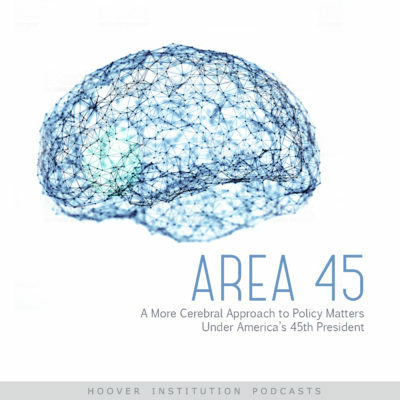 Richard Epstein, the Hoover Institution’s Peter and Kirsten Bedford Senior Fellow and the voice behind “The Libertarian” podcast, grades the Trump presidency from a libertarian vantage. In each of our long and tedious traverses through life, we’re lucky if we have the privilege to encounter at least one Wild Talent—a person so endowed with the ability to see things as they are and project their consequences into the future that you feel yourself in the presence of what, in ages before rationality rang down the curtain on the miraculous, one would have called a seer. This was the case when I made the acquaintance of Phil Salin, initially as a spokesman and negotiator in Autodesk’s alliance with the Xanadu project, and then Autodesk’s investment in the American Information Exchange (AMIX) which he invented—the world’s first electronic open auction market for knowledge. A few years after Autodesk terminated its involvement in Xanadu and AMIX, I remarked “In 1989, we had the prototypes of both the World-Wide Web and eBay working in our laboratory and we walked away from both of them because they weren’t within our ‘core competency’ ”. 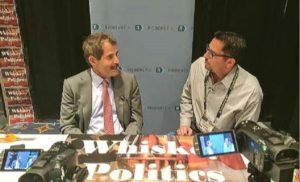 John Stossel joins the Whiskey Politics Podcast just as we were setting up at Freedom Fest (apologies for the few audio glitches). John spoke on regulations, entitlements, the ongoing drug war, the impact of legalization, why he despises Attorney General Jeff Sessions, and how to ensure future generations will be taught about the benefits of free markets. John can now be found on Reason TV and is focusing on teaching students basic economic principals at Stossel In The Classroom where students can get free DVDs. For decades you have seen John appear on ABC News and Fox Business Channel preaching libertarian political philosophy and views on economics focusing on free markets. John has received 19 Emmy Awards and five National Press Club awards for excellence in consumer reporting. Stossel has written three books recounting how his experiences in journalism shaped his socioeconomic views, Give Me a Break in 2004, Myths, Lies, and Downright Stupidity in 2007, and No They Can’t! Why Government Fails but Individuals Succeed. Liz Harrison is a writer and media executive from Pennsylvania, who had been involved in political campaign work for over 20 years. She turned to political and news writing in late 2008 and since then, her writing has appeared on various sites, including Townhall.com, The Federalist and Ricochet. Currently, Liz is working on a book on sexual freedom activism, and is Editor-in-Chief at Practical Politicking. Her writing on the intersection of politics and culture can be found at Sub-culture. I admit to being a hopelessly disorganized individual, and working in a cluttered corner “office” in my home. The “logical (to me) chaos” of my workspace right now says something meaningful about the state of academic rigor today, thanks to a couple of completely coincidental items. On my desk there is a pile of paper that represents the first 50 or so pages of a nearly 500-page manuscript, and an iPad with a somewhat related book in my Kindle queue waiting for me to complete. The book is The Death of Expertise: The Campaign Against Established Knowledge and Why It Matters, by Tom Nichols, and the manuscript is on a theory of “political Darwinism.” They are definitely polar opposites on just about any scale one would like to use to compare them, which makes them remarkably similar. Nichols is pointing out how society — particularly America — has shifted to a point where all experts are considered untrustworthy. 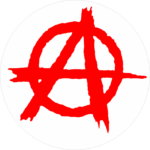 The author of the manuscript is showing how the shifting trends in politics are actually following a fairly logical evolutionary process that needs a severe interruption if we prize freedom at all. The similarity between them lies in both their serious tones of warning against the track our society is following now, and their extreme attention to detail in an academic sense. The other item of note about them is that the book is authored by someone who is generally conservative, and the manuscript’s author is essentially a libertarian. I post reviews of every book I read here, but this post is about a novel I read fifteen years ago, Hope, by Aaron Zelman and L. Neil Smith, which, although I considered it a thriller bordering on fantasy when I read it in 2002, I now consider prophetic and highly relevant to events now playing out in the United States. Alexander Hope, a wealthy businessman with no political experience, motivated by what he perceives as the inexorable decline of the U.S. into a land where individual liberty and initiative are smothered by an inexorably growing state, manages, defying all of the pundits and politicians, through a series of highly improbable events, to end up elected president of the U.S., riding a popular wave of enthusiasm he generates in large rallies where he tells crowds things they’ve never heard before from the lips of politicians of the Locust and Quisling branches of the unified party of the ruling class, or from their mellifluous mouthpieces in the mainstream media. Crowds find themselves saying, “Wait—that makes sense!”, and the day after the election finds America with a president unlike any in its history. How would you feel being labeled “Dr. Evil” in USA Today, which is then repeated across national media including a 60 Minutes interview? When you fight against drinking and driving laws, smoking regulations, tanning bed restrictions, motorcycle helmet laws, minimum wage increases and of course unions, you can be called many things and for the most part none of them kind. Meet Rick Berman, a lobbyist public affairs advocate whose successful firm Berman and Company most recently worked for the Trump Campaign (after working for Ted Cruz during the primary). If you haven’t seen the 2006 movie Thank You For Smoking (trailer below) you missed one of Hollywood’s better films detailing (in a humorous and entertaining way) free speech, individual choice, and libertarian philosophy. It’s been said the movie, based on Christopher Buckley’s book of the same name, portrays Rick Berman who has testified before numerous committees of various state legislatures, the Senate and the House of Representatives. In this interview we discuss the issues Rick’s firm works on to “change the debate,” his role in the 2016 election, and the media hits he’s taken (and welcomes) including four straight nights of being attacked on Rachel Maddow’s program to which he responded by flying up on his own dime and defending himself on live television. Jim Geraghty of National Review and Greg Corombos of Radio America help Hillary Clinton understand why she’s not 50 points ahead and enjoy the fact she’s blaming union members for her close race. They also slam Twitter for suspending Instapundit Glenn Reynolds for his controversial tweet during the Charlotte riots. And they shake our heads as Gary Johnson continues to demonstrate he’s just odd – this time speaking with his tongue out of his mouth during a national television interview. Ricochet Editor-in-Chief Jon Gabriel welcomes his new co-host Stephen Miller of National Review. 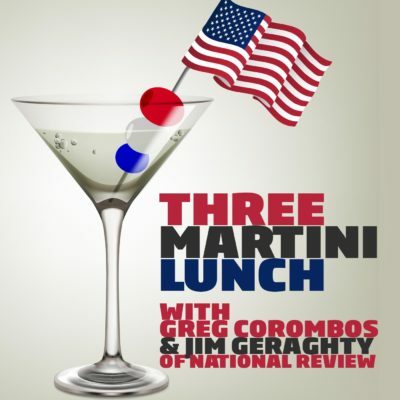 They discuss their dueling articles on leaving the GOP, the rise of Donald Trump, and who will be banned from their conservatarian Pirate Ship. Follow them both on Twitter at @ExJon and @RedSteeze, and check out Stephen’s personal website, The Wilderness.